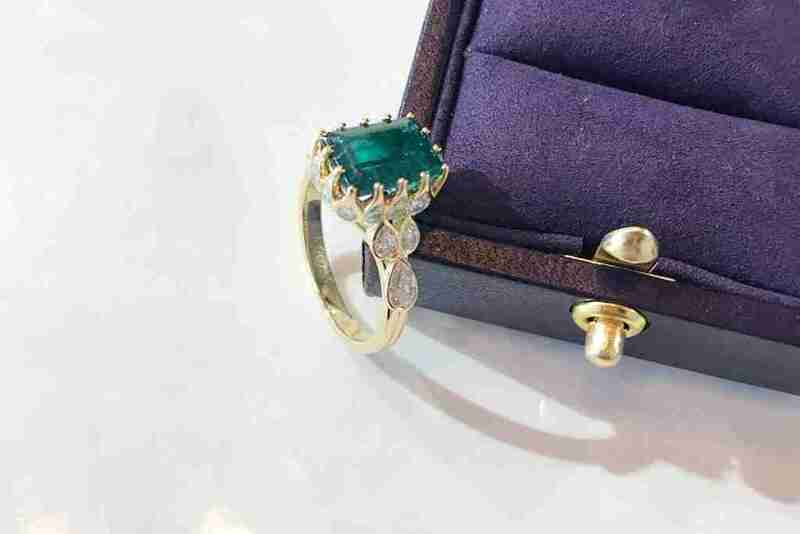 The crafting of fine pieces of jewellery has been a passion of the Guthrie family for over 50 years. 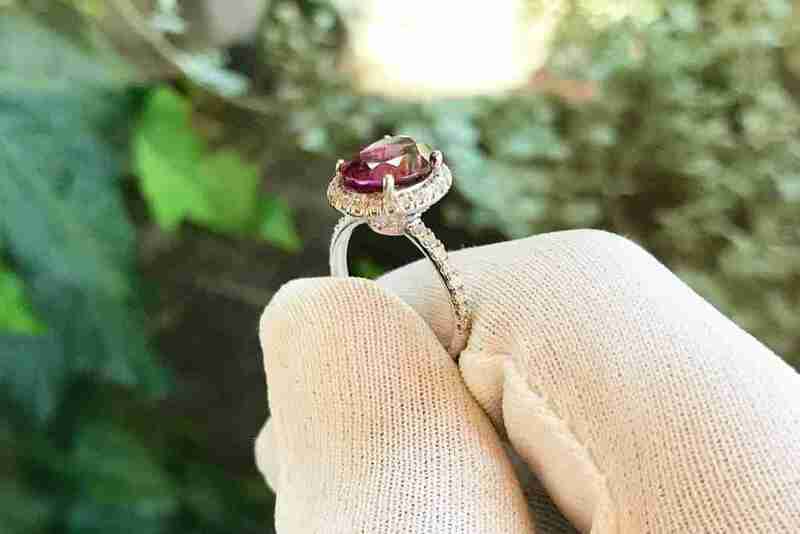 A rhodolite garnet cocktail ring, set entirely in platinum with a diamond halo, band, and setting. A deep vivid green emerald cut emerald, set in a modernised vintage style, with pear shape diamonds.